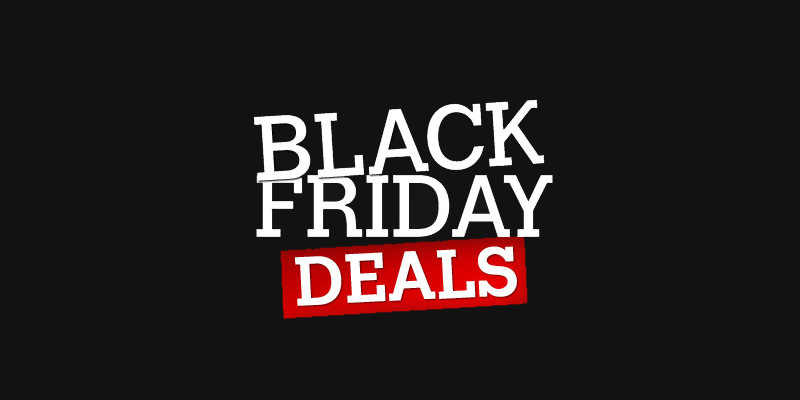 Home » Black Friday Deals » Black Friday Deals + Cyber Monday For NHS Staff – Daily Updated! Black Friday Deals + Cyber Monday For NHS Staff – Daily Updated! Its one of the busiest days of the shopping year, as retailers announce their ‘Black Friday’ sales – its the time when you, the consumer can grab a bargain or two in the run up to Christmas! This year, Black Friday falls on 23th November 2019, and online retailers are already gearing up for what looks like another extremely busy time for those shopping online. Here are just a few of the most well known UK brands and they plans for Black Friday. Of course, Amazon are a huge UK brand and more often than not release their deals before the traditional Black Friday – a few years back they started their sales a whole 12 days early! So its best to keep an eye out and check the site frequently. Amazon is sure to slash the prices on its new second generation and best selling Amazon Echo, as well as their Amazon Echo Dot, which are both sure to be extremely popular. With plenty of discounts on Xbox One and PS4, as well as the new Fire TV Stick these new gadgets are predicted to sell extremely well. Argos are another store heavily involved with Black Friday and they already have a page ready to go for their Argos Black Friday Deals 2018. This UK retailing giant normally has better deals on tech and gadget products, including tablets and e readers. If you are after a new mobile phone then Carphone Warehouse are probably your one stop shop. This well known High Street brand is sure to have plenty of deals on Apple’s new flagship phone, the new iphone 8, as well as the popular Samsung Galaxy 8. Their Black Friday page is already up here. Currys PC World is also popular with consumers, normally starting the Black Friday proceedings at 6am sharp! With all the main electrical brands, Hotpoint, Samsung, Sony, Dyson, Bosch, Beats, LG and more there’s plenty of opportunity to grab a product at a discounted price. Debenhams has also announced its Debenhams Black Friday deals page and tells us they will be offering discounts from the morning of the 23th November. Black Friday Sale - Lowest Prices and Savings on plenty of ships! Three - iPhone X >> Now only £53 a month and £99 cost. Unlimited data plan! Get up to 50% off footwear in the 2018 Black Friday Deal. Ends 1pm on 23 Nov 2018. Expires Midnight 23 Nov 2018. Use Codes - 15OFF for 1 night stay, 25OFF for 2 night stay or 35OFF for 3-5 night stay. Ends midnight 25 Nov 2018. Use the code to get an exclusive 20% discount ONLINE when you shop! Get £20 off your first order at AO simply by signing up! Ao.com deals. Have a look through, definite savings to be had!
? Amazon Christmas Deals. New Deals every 10 mins!! ? Thousands of products and offers from Amazon this Black Friday! Make massive savings - don't miss out on the great deals! Find a great present or stocking filler for the family, friends or just treat yourself! Amazon have a massive range of toys with up to 50% Discount - This is limited timed offer so get involved before they sell out this Black Friday. Free kids offer applies to new bookings only, on selected summer 2018 and summer 2019 holidays, subject to limited availability. Only 1 free kids place is available in each selected hotel room or selected apartment type or villa with 2 full paying adults. £20 off PER PERSON - Flights Only. Booking Dates: 19th - 26th November. Travel Dates: 19th November 2018 - 31st October 2019. £100 off Short haul and Medium Haul per booking.Booking Dates: 19th - 26th November. Travel Dates: 19th November 2018 - 31st October 2019. Min Spend £800. Booking Dates: 19th - 26th November. Travel Dates: 19th November 2018 - 30th April 2019. No Minimum spend. Get the amazing Hoodies for Men & Women from £35 at Superdry. Get the Men's New Arrivals from £16.99 at Superdry. Get the Women's Leather Jackets from £75 at Superdry. SAVE £200 BLACK FRIDAY DEALS! Carphone Warehouse have begun their deals for BLACK FRIDAY. You MUST check out these mobile phone offers right now! There is £200 off loads of contracts. iPhone 7 - Now only £28.99 a month. Huge saving. Samsung Galaxy S9 - No Upfront Cost @ £26.99pm. Save £200! Get the iPhone 8 Online and Save £100. From only £43.00 a month. Save £120 on the Huawei Pro Online. Huge Savings on SIM only deal. Get 40gb for Only £18. You can get £100 worth of discount vouchers at Mothercare when you sign up to their exclusive club. Get huge savings on Toys at Mothercare this Black Friday. Ends 26 Nov 2018. Get up to 50% Discount on car seats this Black friday. Get up to 50% Discount on Nursery furniture. Ends 26 Nov 2018. Up to 50% Off for Christmas! Superdrug Christmas Gifts 2018 - Save on gifts for him, here & the kids! Get in early for the best deals! BT have launched their Black Friday deals - you can save up to £230 on your broadband and tv packages! free BT Sport and free HD Extra. Miss Selfridge are offering up to 50% Off Jeans right now! Hundreds of items on offer! Loads of TV's for sale, pick up a bargain online. Plenty of bargains available. Get them while stocks last. Secure your home this Christmas and get a bargain with up to 50% Off Smart Tech. Get a whopping 30% Discount on the GHD IV Styler when you buy online today! Only £76. Get great looking hair for less. Get this awesome GHD White Styler when you buy online today! Get great looking hair for less. Now only £157.00. Black Friday savings have begun early at Currys! Huge savings and up to 50% OFF TV's, Laptops, Kitchen Appliances, Cookers, Fitbits and loads more! Hurry ends soon. Purchase selected TV and Broadband packages and get a FREE Speed boost. Join the AA today. Plus if you choose NATIONAL Recovery you can also get FREE HOME COVER online today!. Get subscription to RAC membership from £4.50 a month! Get up to 50% Discount on Women's Shoes and Boots! Huge savings online! Get up to 50% Discount on Women's Dresses! Huge savings online! Get up to 50% Discount on Beauty and Cosmetic Products! Huge savings online! Get up to 50% AMAZING Furniture right now! Huge savings online! Includes Kitchen, Bathroom, Dinning and more! Some amazing offers and promotions available online today when you purchase Alien Perfume Gift Sets and more! . Boots 3 for 2 Mix & Match is back for Christmas! Very popular!. Get up to 50% Off Ted Baker Clothing, Shoes and accessories at DEBENHAMS online only today. Get up to 50% Off Ted Baker Clothing, Shoes and accessories at ASOS UK online only today. Up to 50% Discount with these Entertainment Passes - HUGE EXCLUSIVE SAVINGS! Get 50% Discount for 6 Months Subscription to Entertainment and Movies packages with NOW TV - Massive deals! Simple and easy way to play! Enter the competition now with a great chance to win your Dream Car online! Money to spend onboard when you book a cruise to wonderful destinations. See website for full details. Great deals for you and your Families with these last minute Saver Option. We have sourced hundreds of Savers deals all over the world with savings of up to 20% Discount. See website for full details. Check out all these available books with HUGE savings! With a massive discount available - You don't want to miss out! Check out all these wonderful gifts! With a massive discount available - You don't want to miss out! 40GB for Only £24 and loads more deals. Vodafone have BROADBAND deals availble - Get up to 72mb for only £25 a month - Line rental included. Check out these amazing offers and save up to 60% when you buy online today! Hurry once it's gone that's it! Get 2 for the price of 1 at Virgin Experience Days, making a fun day out together for half the price! Check out all these amazing deals and offers available right now for NHS Staff and Family. There is up to 25% Off for you right now! Selected offers only. Check out all these amazing deals and offers available right now for NHS Staff and Family. There is up to 50% Off Afternoon Tea for you right now! Check out all these amazing deals and offers available right now for NHS Staff and Family. There is up to 50% Off when you book at some of the best restaurants around the Country! Check out all these amazing deals and offers available right now for NHS Staff and Family. There are some amazing bargains to be had, including half price Spa days! Save 15% this month on a Sunday booking. Loads of fun and adventure awaits! Get up to 40% off footwear in the mid season sale at Shuh. Receive up to 2 months FREE on your health insurance plus a FREE tastecard (worth £79.99) if you join by 31/12/2018, just use promo code 865*. GO BINGE >> Stream your favourite shows and music infinitely without using up your data. 30% or more off Hundreds of products, includes Baby, Kids, Furniture, Lighting and more! BLACK FRIDAY EVENT : 30% off (almost) everything! Choose a Fly-Europe cruise and receive free flights and transfers worth up to £350pp. Get £10 off when you spend £100. Get 30 Day FREE Prime Trial when you sign up online today!